ANNVILLE, Pa. – The Stevenson University football team was picked second in the Middle Atlantic Conference preseason poll released Monday morning. The top three teams are separated by just three points, as Delaware Valley garnered five first place votes and earned 75 points. 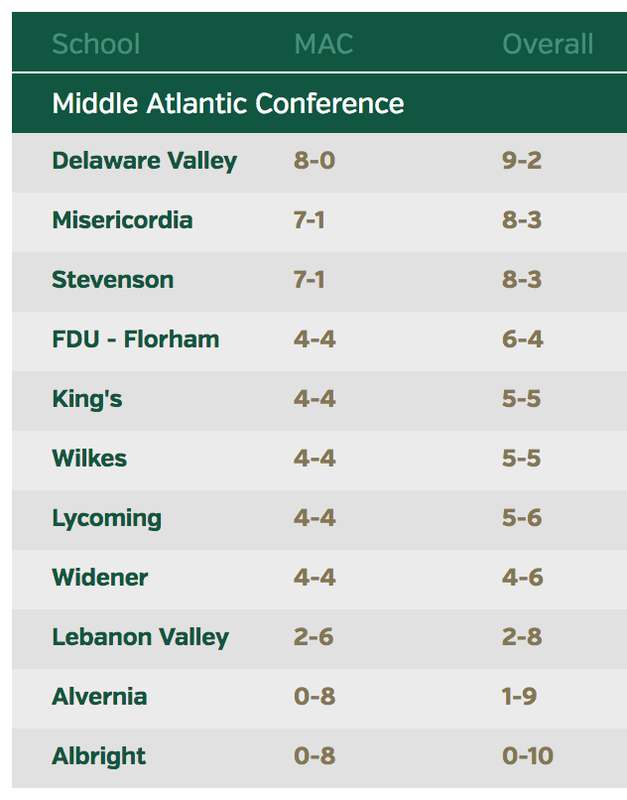 The Mustangs and Albright each earned 72 points, with Stevenson, the defending conference champion, picking up three first place votes, while the Lions had the other two first place nods. Widener (55) and King's (Pa.) (47) round out the top five, with Lycoming, Lebanon Valley, Wilkes, FDU-Florham and Misericordia completing the poll. Stevenson earned its first Middle Atlantic Conference title in 2016, winning its first seven league games and finishing 8-1 overall in conference play to win the conference title outright and earn an NCAA berth, the program's first-ever. The Mustangs finished 2016 ranked No. 20 in the final D3football.com Top 25 with a 9-2 overall record. Stevenson opens 2017 ranked No. 18 by D3football.com and opens on Thursday, August 31 as it travels to 17th-ranked Frostburg State for a 7:00 non-conference contest.